My bank, for example, BBVA (originally from Spain) lets me pay the cable, electric, water and gas bill all from one screen. Most banks use Servipag as the means to do this but sometimes the bills listed there disappear, as the vendor has cut off relations with Servipag. After a while the vendor and Servipag negotiate a new agreement and the vendor comes back. Computer systems in Chile tend to go on holiday and take the weekend off. That is not a joke. In the evenings or on the weekends bank website and payment systems often do not work. They are obviously taken down for maintenance, but in other countries such maintenance is usually done at a time that is convenient for the customer and not the bank, like 1AM Sunday. The Banco Estado goes down for maintenance every day at 10 PM for 1 hour. Beyond maintenance, some of these websites simply have programming errors. My wife has her debit card account at Banco Estado. If you log in to that website and close the browser without logging out, then you cannot login from somewhere else. You have to go back to that original computer and original browser and logout to close the session before you can login again. Their session cookie should have an expiration time. I pay my health insurance through a system called Previred. Ten times I tried to change my password there. Each time I did that it said my password had been changed correctly, but then I could not log in. I called the company and they explained that your password could not be longer than 10 characters. Someone should have told the programmer who wrote the change-password screen to check for that. On the flip side, there are some things that work better here than in many wealthier countries. In Chile, there are no ATM fees. Here you can transfer funds to anyone else’s account instantly, like to pay last night’s bar tab. Sending payment like that in the US is an ordeal that requires three to five days and a hefty fee. And Chilean banks use two-factor authentication, which is again a leg up over the Americans, whose mighty banks keep getting hacked time and again. In Chile, people mainly use cash. That is a problem because recently there have been so many ATM robberies that banks have taken to shutting down their ATM machines on the weekends or simply not replacing those that have been blown up or ripped from their moorings by thieves. The machines that are still working are frequently out of cash. Long lines form at ATMs. Much has been written about this in the press. And then there is Khipu. Roberto Opazo is CEO and founder of Khipu, a smartphone and browser app that lets you make payment via web pages. The system works with most of the cable and cellphone companies and other vendors and can also be used to buy movie tickets. 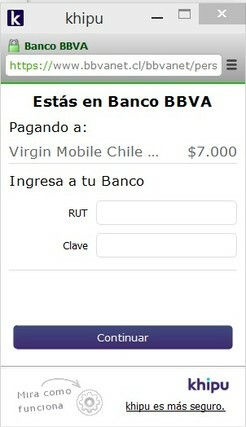 Banks in Chile, and in the US too, do not want to be reduced to an interchangeable commodity. So in both countries there is no common API to access banks accounts. Intuit’s Mint website in the US relies on Yodlee which uses screen scraping to login and then pull information from bank website. Khipu also uses the screen-scraping approach. In other words, because the banks will not help them, these two apps program the key combination needed to navigate the bank’s website into the app instead of using, say, XML or JSON. When you go to a web site and select Khipu for payment, the app or popup webpage appears where you login to your bank, enter the two-factor authentication code from your bank, enter a cypher code, and then click to pay. Then Khipu initiates a money transfer on your behalf to pay the merchant instantly. For that, the merchant pays a one per cent fee, not to exceed five US cents. 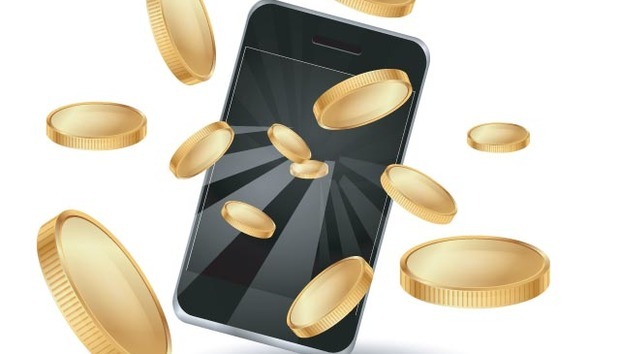 Asked why there are so few online payment companies in Chile, Opazo said that the main payment processors, Servipag and Transbank, are owned by the banks. He added if someone were to set up something like Mint in Chile, the banks would block the IP address. They cannot block Khipu, because the IP address is different for each person who uses it. Khipu has plans to expand only in Chile and has the technology for a point-of-sale application too but currently has no plans to deploy that. « ColdTrace: Why monitor vaccine temperatures?